The 18th version of Google Chrome has turned out to the stable channel. This new version includes hardware-accelerated rendering for the HTML5 canvas element on the Windows and Mac OS X. The recent reports state that the standards based Web technologies will provide an increasingly capable platform for game development. The major web browser vendors are working to further increase the viability of open standard for browser-based gaming. Offloading Canvas rendering to the GPU helps the users reduce the CPU load of 2D games and even improve the CPU performance, the feature has been available in Chrome for quite some time now but now it shall be enabled by default. For the Chrome 18, Google has introduced a software-based backend for WebGL based on TransGaming's SwiftShader. This will make it possible for users to view WebGL content on computers that don't have compatible graphics hardware. Although it will open up WebGL content to more users, the software-based renderer doesn't offer comparable performance to native hardware-accelerated WebGL. 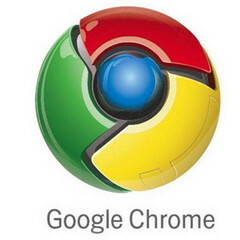 In addition to these improvements, the Chrome developers have also been working to make various security improvements based on vulnerabilities that were exposed during the Pwnium competition.